Since the formation of the Indonesian Ban Asbestos Network (Ina-Ban) in Bandung, West Java in 2010, activities have been ongoing to raise public, occupational and medical professional awareness of the asbestos hazard. 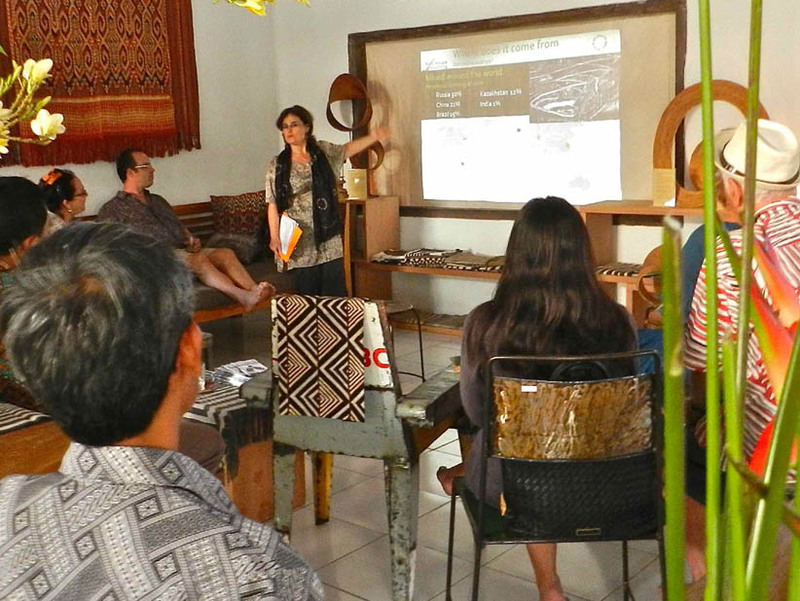 A recent example of one such event was an informal evening seminar held on September 5, 2013 on Bali entitled Asbestos in our Homes and Workplaces. This discussion attracted business people, campaigners and members of the public interested in green living solutions. The keynote speaker Alex Ryan, Managing Director of Kaltimber, delineated the health hazard posed by the continuing use of asbestos in Indonesia; approved measures for identifying, handling and disposing of contaminated products were outlined. Judging by the wide-ranging questions asked and the discussions which took place, it was clear that more information was desperately needed about the types of asbestos-containing building products sold in Indonesia and the likelihood that goods sold as asbestos-free were safe. Clarifying issues raised during the seminar, Asbestos expert Dave Hodgkin2 explained that it has commonly been found to be the case that cellulose-reinforced cement materials labelled as being asbestos-free in Indonesia were contaminated either intentionally or unintentionally with asbestos. Following a detailed explanation about the different production processes used and the various properties of the materials produced, Mr. Hodgkin suggested that in order to be safe it was preferable, at this time, to choose a different product  such as corrugated iron, ceramic roof tiles or plywood sheeting. 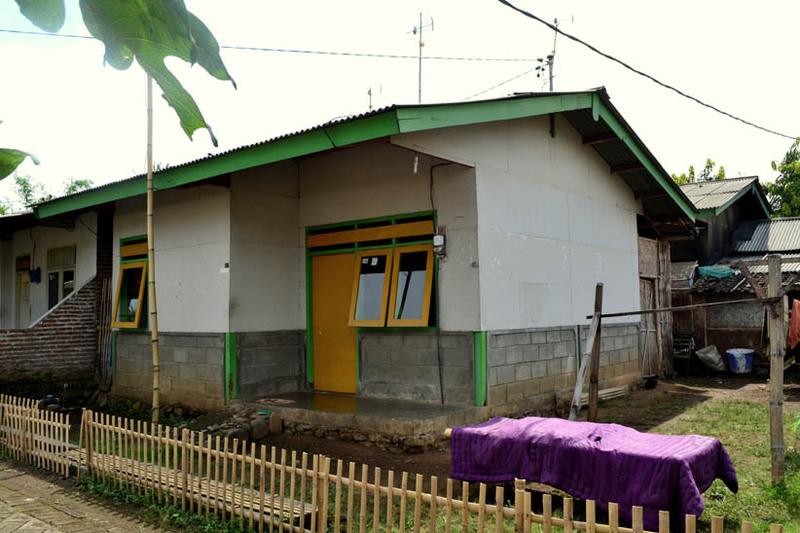 The ubiquity of asbestos use remains a fact of everyday life in Indonesia. Five months ago, I visited three districts in East Java. Whilst there I documented the continuing sale and use of asbestos material. I was disappointed to observe that the majority of government repair work on areas damaged during the 2006 floods used asbestos-containing materials for the construction of permanent housing. 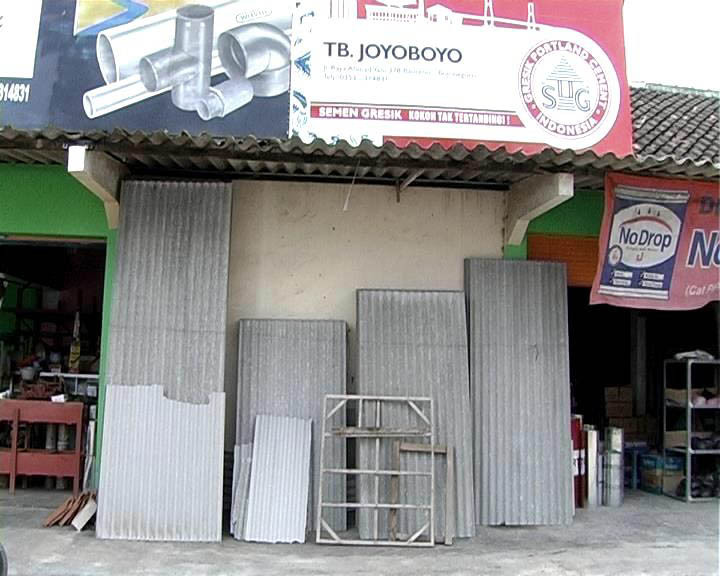 Asbestos roofing material on sale in local market, 2013. House built with asbestos roofing and walls, 2013.